When I reported the speculation yesterday that Diesel eBooks might be shutting down in 5 days, I was hoping that I had gotten the story wrong. Sadly, that's not the case. Diesel eBooks will be closing at the end of this month. It's been a great ride! We're exploring our options - eBooks are still in the infant years and there are many opportunities opening up now and in the future. IMPORTANT: you must download your eBooks by month end. Downloads will not be possible on April 1st. We want to thank you for being such loyal customers. Understand this doesn't necessarily mean you won't see Diesel in another form in the near future. If you have not received an email yet, I can explain; Diesel eBooks's email system is broken. I in fact got 16 copies of this one email, all sent within a single minute. Chances are the system is eating as many emails as it is sending, so some Diesel eBooks customers may never get a notice. If you want confirmation, go check out the home page over at Diesel eBooks. Earlier this morning they posted an announcement banner with the news that they're shutting down. Diesel eBooks was founded in 2004, during the pre-Kindle ebook era. It sold a number of ebook formats over the years, including eReader, Mobipocket, MSReader, PDF, and Epub. Most of those ebook formats predeceased Diesel eBooks, which says something about how much the ebook market has changed over the years. This retailer also expanded into selling ebook readers from 2009, and they also offered a rewards program and ebook bundles. I've bought ebooks from them over the years (mainly in the pre-agency era). It was an okay site with decent prices, customer service, and tech support, and that should have been enough to keep it competitive. Unfortunately, Diesel eBooks is one of the smaller indie ebook retailers that never really recovered from Agency Pricing. When the 5 publishers started the agency era in early 2010, the first thing they did was cancel existing contracts with ebook retailers and renegotiate. Guess who were the publishers' lowest priority for signing the new contracts? Indies like Diesel eBooks. It took some indies months and months to get the new contracts signed, and that cost them a competitive disadvantage. And under the new system, the ebook retailers were unable to lower their prices on any of the titles published by the big 6, which limited their ability to attract and keep customers. Yes, fixed ebook prices may have prevented Amazon's price-gouging, but it also helped discourage customers from shopping around. That made it a heck of a lot harder for indies to pry customers away from the majors. Diesel eBooks is now the second indie ebookstore to fail in the past year. The first was BooksOnBoard, which abruptly ceased operations last April. I doubt they will be the last. Edit: I should also add that Diesel eBooks may not be totally dead. A few weeks ago its owners filed an antitrust suit against the 5 publishers and Apple that made up the Price Fix 6. Should they win the lawsuit they might be able to reopen. I think I may have bought a book or two from Diesel, and went to check. The front page says they are shutting down, and to download books, but there are no links to get to the download page. Nice one, guys! In the days of cloud computing, how does a company like this go under? They can scale their operations to suit their sales, and operate with a skeleton staff. The only think I can think of that would push them over a cliff would be debt payments. Anyone know what happened? It seems clear enough to me. 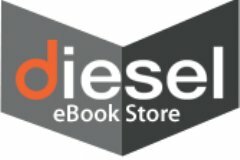 First click on “download your eBooks here” which takes you to the main page of the Diesel eBook store. Then click on “my account” and log in with your user name and password. Finally, click on “my bookshelf” and you will see the books you have purchased, with a download link for each book. Thanks for a great analysis. I have several ebooks distributed to Diesel by Smashwords, but I’ve had no direct contact with them. Perhaps some sort of arrangement could be worked out so Smashwords takes over support for at least some of Diesel’s now out-in-the-cold customers. It’d give Smashwords more visibility with readers. Suing Apple and the Big Six is likely to be counter-productive. It’d only make make them less likely to sign contracts with the little guys in the future. No contract, no grounds to sue. Besides, Amazon has played a much more major role in the demise of Diesel and the troubles of their small counterparts. Amazon is grabbing perhaps three or four sales for every one by Apple. That’s where most of their lost sales lie. Also, Apple is a closed system. To read a book from the iBookstore, you’ve got to own an iPhone, iPad, iPod touch, or recent Mac. In contrast, you can read an ebook from the Kindle store on almost any device. That’s the market that Diesel was attempting to compete in. Given how much Amazon must be pouring into subsidizing Kindle devices, it’s a tough market, particularly since sideloading a Diesel ebook onto a Kindle was probably too much hassle for most. Those Kindles are far more closed than iPads. Both authors and and readers should check them out. At just $4.95/month, I suspect they’ve hit the sweet spot in ebook subscription services. And as an author, I like that 60% share-the-income royalty model. I’ve already given them three of my titles. After wrestling with the Diesel site to get to the download links for my purchased books, I found that only the ones without Adobe DRM would download successfully. All others threw an “internal server error” on the website, and when I went into my file manager to locate the downloaded ACSM files, all attempts to open any of them with an authorized Adobe DRM ereader app resulted in “Unable to download book, expired license.” Looks like Adobe has already turned off Diesel’s content server, users and April 1st deadline be damned. After reading your message, I just tried downloading a couple of the books for a third time. These two books, both of which have DRM, downloaded with no problem. The problems you are having, therefore, are not due to problems with the content server. All I can suggest is that you try again with a different browser. I agree – DRM is a total pain and waste of time. I had the same problem when I bought from Diesel. I never could download 2 of the 11 ebooks that I had purchased. I tried using different browsers even and nothing. How interesting! I’ve tried Firefox and Chrome, but perhaps IE will be the key to success. Can’t hurt to give it a shot! Or perhaps their server was overloaded when you tried, but not when I tried at 8:25 in the morning. This is a bit of a shame. The situation offers a reminder of how difficult it can be to compete in the digital era. One way for publishers to do so is to innovate with the medium. The application of technology to publishing offers the chance to create new content, or shake up existing content. Check out the WHY Code http://whycode.com/ to see one way in which technology is being used to create new ways of interacting with books. The only places I have used to download ebooks are the publisher’s website, (TWRP) Smashwords, Amazon, and Barnes and Noble. I have an Iphone but I usually get my books from Amazon. And I love my paperwhite Nook, but I read most of my ebooks on my phone or my generic ereader because most of my books are in Kindle or PDF format and Nook won’t open kindle books and it’s too much of a hassle to load PDF’s. IMHO, to remain competitive, ebook stores need to offer more than just one ebook format to accommodate the various phones and ereaders. And phones and ereaders need to come equipped with aps for multiple ebook formats.